MAC, which stands for “Media Access Control,” is a unique address which represents your network interface device. Put simply, it is a unique number for your network interface hardware assigned by its respective manufacturer. 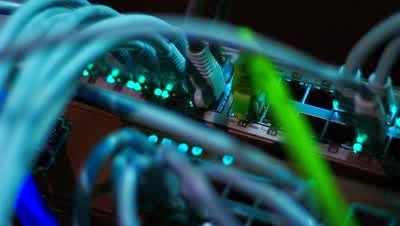 In the networking world, IP addresses and MAC addresses work together to move data back and forth. That said, MAC addresses can be changed or spoofed according to your needs. Aside from acting as a unique address to each network device in your PC (like wired ethernet port, WiFi, etc), MAC serves different other purposes like MAC authentication, address filtering, static IP assignment, device tracking, etc. That said, not every network device supports changing of MAC address. So if your network device doesn’t support changing of MAC address, then you just can’t change it. 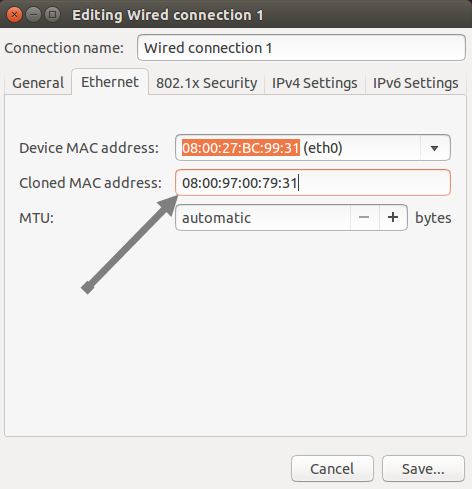 Let us see how to change MAC address in Windows and Ubuntu. 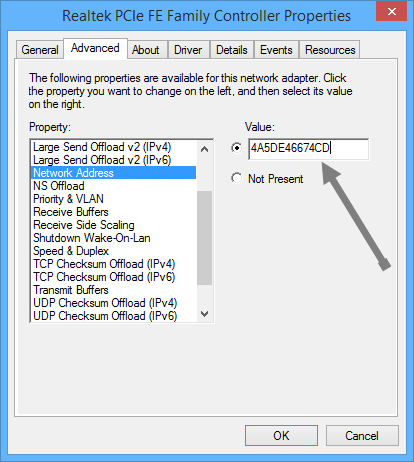 Changing MAC addresses in a Windows system is really easy. All you have to do is to change a couple of settings buried deep inside your Windows device manager. Of course, you can also change these settings from the networking and sharing center, but using device manager is more direct and straightforward. 1. 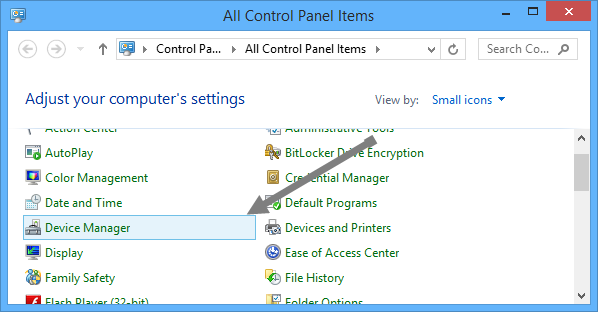 First, open “Device Manager” by navigating to your Windows Control Panel; if you are using Windows 8, press “Win + X” and select “Device Manager” from the list of options. 2. 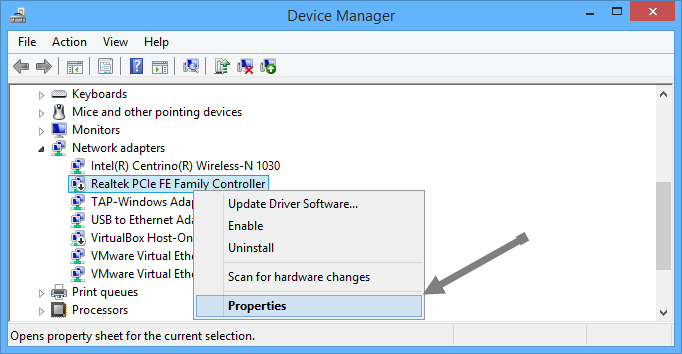 Once you are in the device manager, select and right click on your networking device under the “network adapters” section and select “Properties” from the context menu. 3. The above action will open the properties of your selected network device. Here navigate to the advance tab and select “Network Address” from the property list on the left side. If you can’t see this option in the list, then you can safely assume that your network driver doesn’t support changing or spoofing MAC addresses. 4. Once you have selected “Network Address,” select the radio button “Value” and enter your desired MAC address. MAC address is a combination of numbers and letters. Once you have entered the new MAC address, click on the OK button to save the changes. That’s all there is to do and with all the above steps; you have successfully spoofed your MAC address. You can confirm the changes using the below command in your Windows command prompt. 1. When it comes to Ubuntu, changing MAC address is even easier than in Windows. 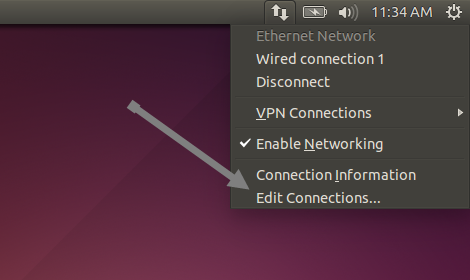 To change MAC address in Ubuntu system, select the network icon in the top panel of Ubuntu and select “edit connections” from the list of options. 2. 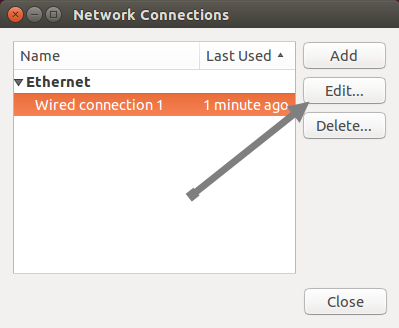 The above action will open the “network connections” dialog box. Select your connection and click on the “edit” button displayed on the right side. 4. Once you have done that, click on the save button to save changes. That’s all there is to do, and you can confirm the changes using the below command in your terminal. Note: The changes we have done to our MAC address in Ubuntu are just temporary. i.e. they will be reset to the original MAC address on every reboot. Hopefully that helps and do comment below if you face any problems during MAC spoofing. Want to find your Windows is legitimate or Virus? What is Outernet? How does it work?